In today’s weight- loss feature, Akira shares that, her low self esteem was a factor in her wanting to lose weight. She found lowering her carb intake and exercising regularly was key to losing 70 pounds and dropping 3 dress sizes. Read her story to learn what really worked for her. What led you to want to make a lifestyle change? My name is Akira and I decided to make a lifestyle change because I started feeling fed up with my appearance and realized that my self-esteem and self-confidence was low. Loving one’s self has always been something very important to me. I noticed things like shopping started becoming uninteresting to me and I started becoming more closed off. What did you do to achieve your results? Tell us about your workout routine do you prefer gym or home workouts? I changed my eating habits by decreasing my intake of carbs. I eliminated rice completely from my diet for about 6-8 months. I started eating more vegetables and fruits. For my breakfast I would have either smoothies or protein shakes because breakfast was the hardest meal for me throughout every day. What was your starting weight/dress size? What is your current weight/dress size? My starting weight was at 250 at a size 18 and I am currently at 180 at a size 12. This transformation took me about a year and a half. I started February 2016 and I am currently still continuing. What was the hardest part about your transformation? how did you overcome it? The hardest part about my transformation was making time to exercise. I always had an excuse or always said I was too tired to go to the gym. Eating healthy was another issue because I was used to having so many carbs on a plate due to my cultural background such as dumpling, rice, yam, etc. Also going out with friends watching them eat steaks and mashed potatoes and having enough self control to order a salad… was a huge challenge. My health has improved dramatically my doctor is so happy and proud of me, she encourages me to keep going. I was someone that always had weight issues growing up and staying consistent with losing weight has been one of my longest goals. I am happy I have accomplished this goal. This helped me to prove I can do anything I put my mind to. I have always struggled with high cholesterol and becoming pre-diabetic. Losing weight and taking better care of my body has helped improve my mind, body, and spirit. I no longer have any issues with my health and the amount of migraines I get have decreased. Who or what helped you along your journey? Is there a product that helped you or anything in particular you’d recommend? Remaining consistent in healthy eating habits (removing a lot of junk foods from my diet significantly) and most of all portion control made a huge impact on my weight loss. I also did a 12 day smoothie cleanse that helped with my energy levels and detoxifying my body. What might we catch you doing on your days off? On days off, I am catching up with friends and looking into new natural hair styles and products. I recently moved back to NYC so I have been reconnecting with my inner New Yorker. 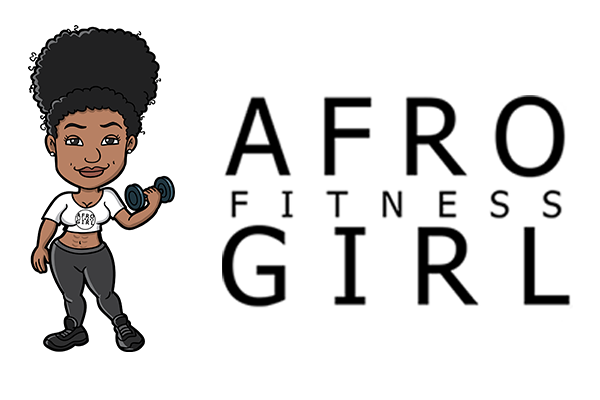 What piece of advice would you give other women looking to start on their own lifestyle change/fitness journey? If you’re waiting on someone else to help you, you will never get anywhere. I used to wait on my friends to go to the gym with me and if they didn’t go I didn’t go either; which only resulted in me not losing weight and gaining. Self-motivation is a necessity. Only you can change what you’re not happy with! Have you been on a low carbohydrate diet? did it work for you?